Interested in the newest trend in copper jewelry? Come join me as we turn found objects into copper. Explore the endless possibilities of copper electroforming in an easy to understand format. 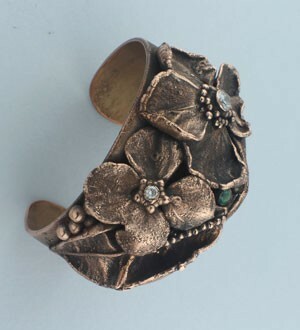 In this class we will be making a customized copper bangle cuff using electroformed flowers, stamped brass charms, dichroic glass gems, and cubic zirconia gems. The cuff will be custom fit. Techniques for setting gems will be covered. Skills covered include basic electroforming, texturing and gem setting along with gluing techniques. Class will break twice during the day to provide time for bonding, and drying. Projects will need to process 24 hours for proper copper deposition. 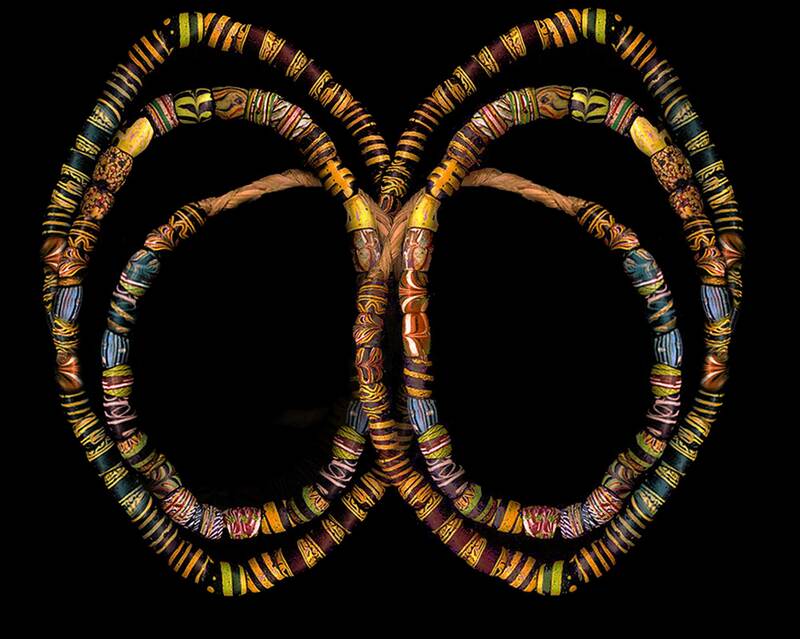 In addition to class resources, students are invited to bring small gems to use in their creations. * Students would return to the classroom Sunday at 2:00 to complete their project by cleaning and finishing their project. Should returning to complete finishing not be an option for a student, arrangements need be made to have it finished and shipped later in the week (small fee will apply).